Ahrefs is the tool you need in order to understand how your competitors are ranking on search engines… and what you need to do to outrank them. With Ahrefs dashboards, you can better understand your SEO data as a whole, and learn where you need to be going with your strategy. Create your Ahrefs dashboards today! 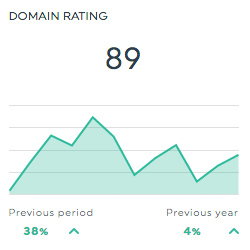 This historic widget shows the strength of your website’s overall backlink profile, on a scale from 1 to 100. This list widget shows the anchor texts (clickable text in hyperlinks) used to link to your website. 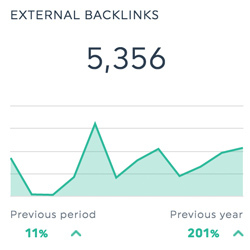 This historic widget shows the total number of backlinks your site has (aka. links on other websites that refer back to your site). 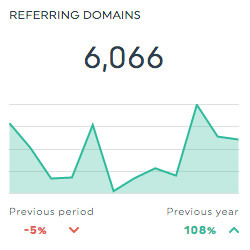 This historic widget shows the total number of domains on which your backlinks are found. Want to see all our Ahrefs preset widgets? How do I create a dashboard report with Ahrefs SEO tool?